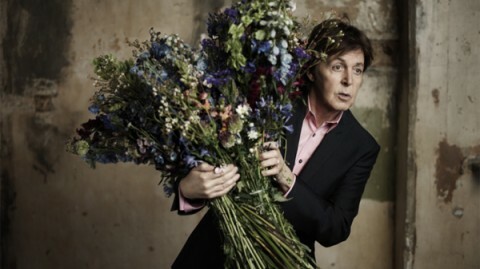 Kisses On The Bottom -- it's Paul McCartney's 35th post-Beatles album, his most provocatively-titled album to be sure, and a great stroll down memory lane. The album features covers of jazz standards, mostly written during the 1920s and 1930s. It's the music that McCartney's father loved to play on the family piano, giving the younger McCartney his first introduction to music. Diana Krall, Stevie Wonder and Eric Clapton make guest appearances. The new album goes on sale next week (pre-order it here), but you can stream it for free (in its entirety) on NPR or via The Guardian. Listen quickly, because the free stream will only last for a limited time. P.S. Leonard Cohen's latest album, his first in seven years, is still streaming online too. More here.